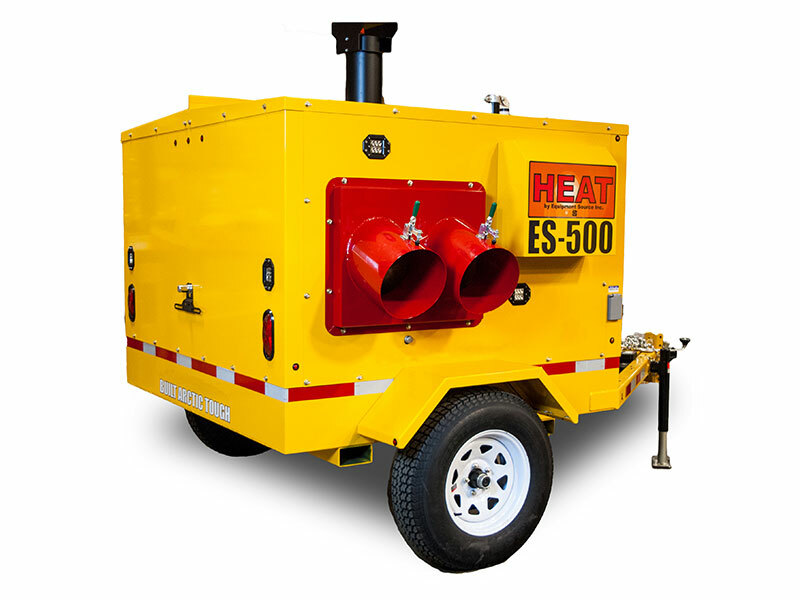 ES500 Indirect Fired Heater | Equipment Source Inc.
Get Jetflex heater ducting by Engineered Performance Ducting! 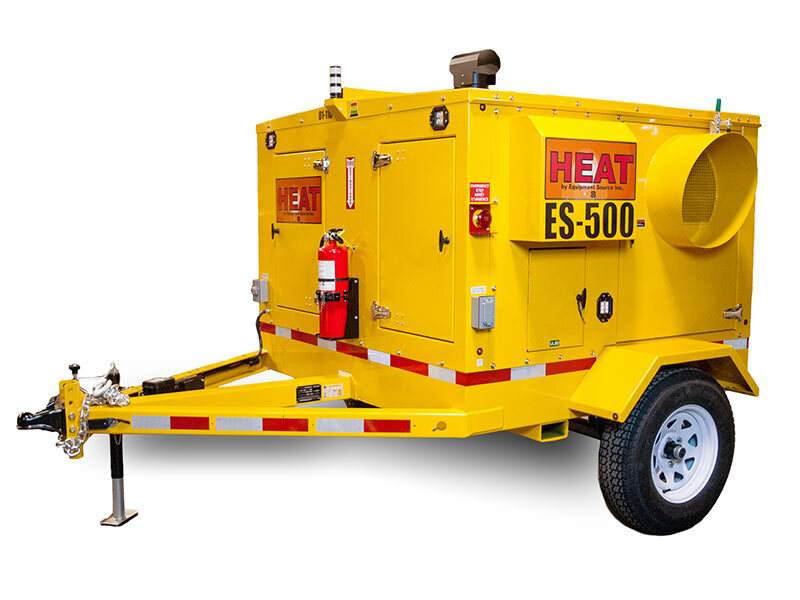 The compact, yet powerful ES500 indirect fired air heater outputs 390,000 BTU/hr at up to 2500 CFM. It is diesel powered and operates for 25 hours between refuels. 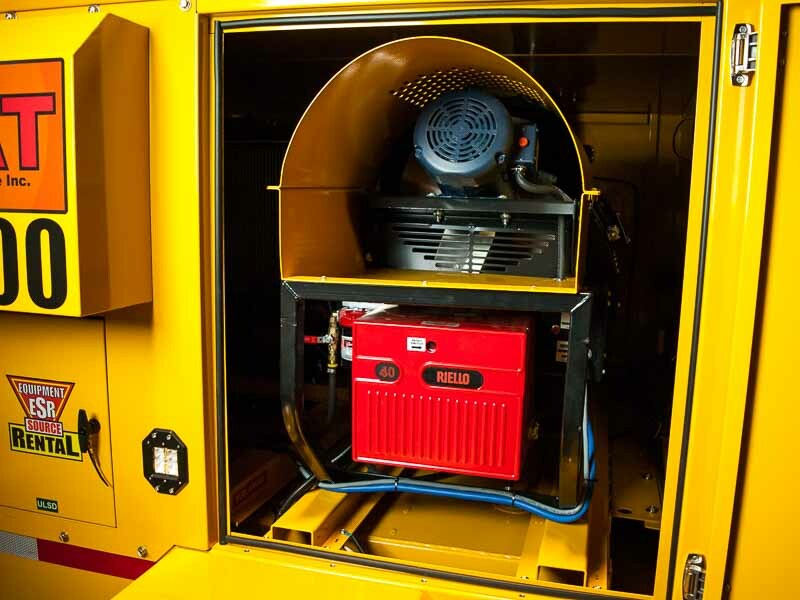 At the heart of this portable heating unit is a Flagro 400 indirect fired heater powered by a Kubota engine with a Mecc Alte generator end. 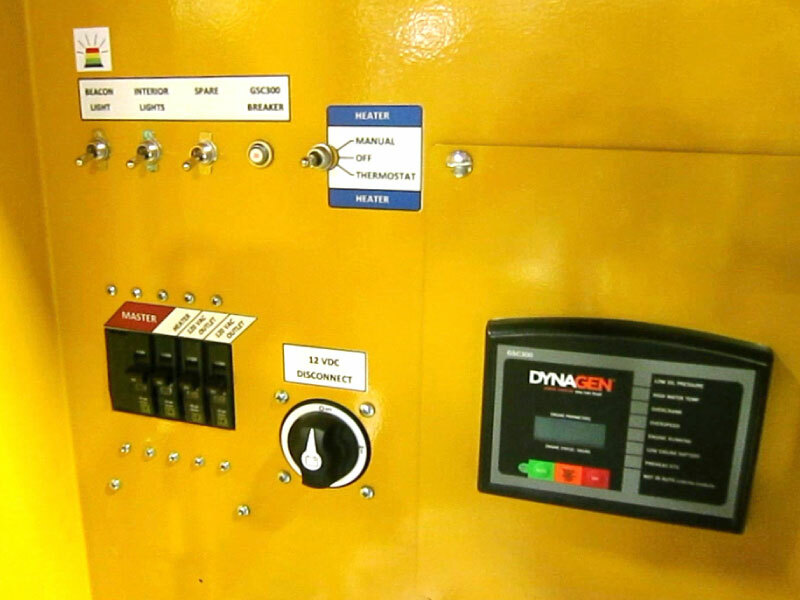 These main components are housed in a durable steel cabinet designed with safety and convenience in mind. 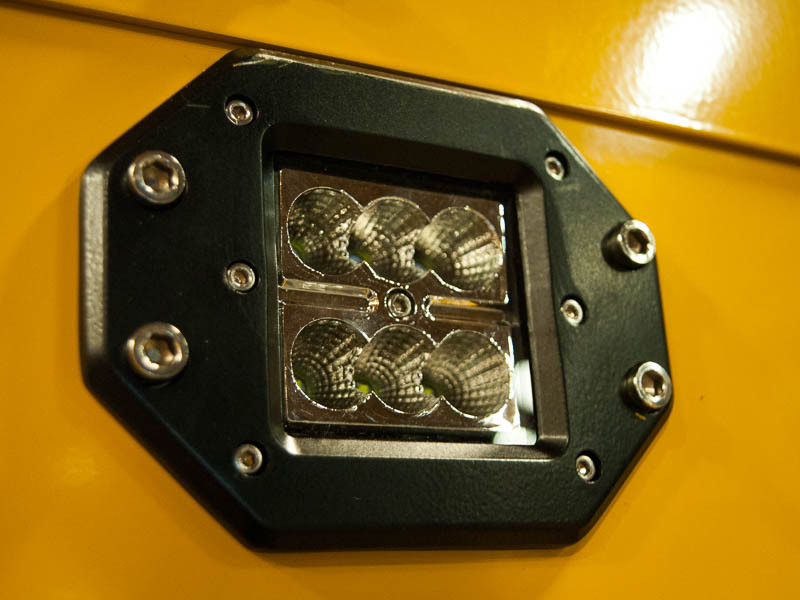 The cabinet features include 200% secondary fluid containment, emergency shutdown switch, seven bright LED floodlights, and easy access to commonly serviced components. 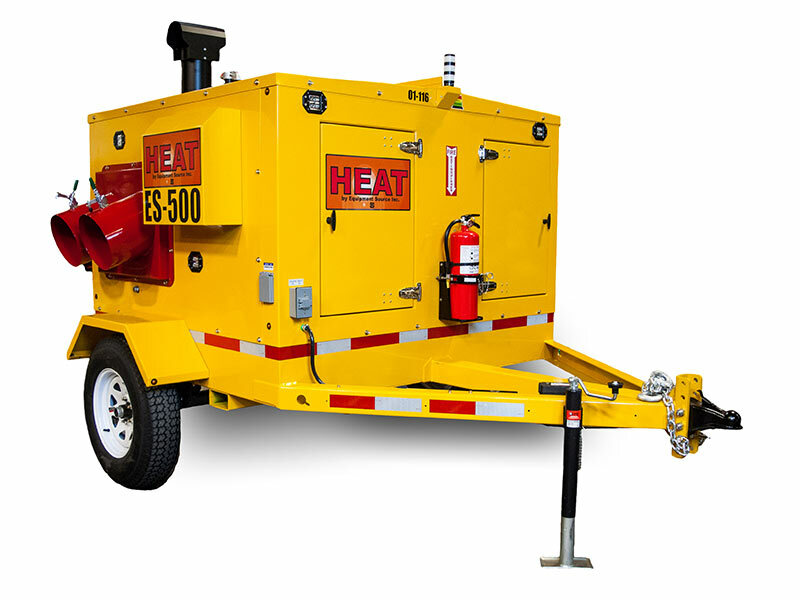 The heater is light-weight and mounted on a 3500 lb single-axle trailer for easy mobility. 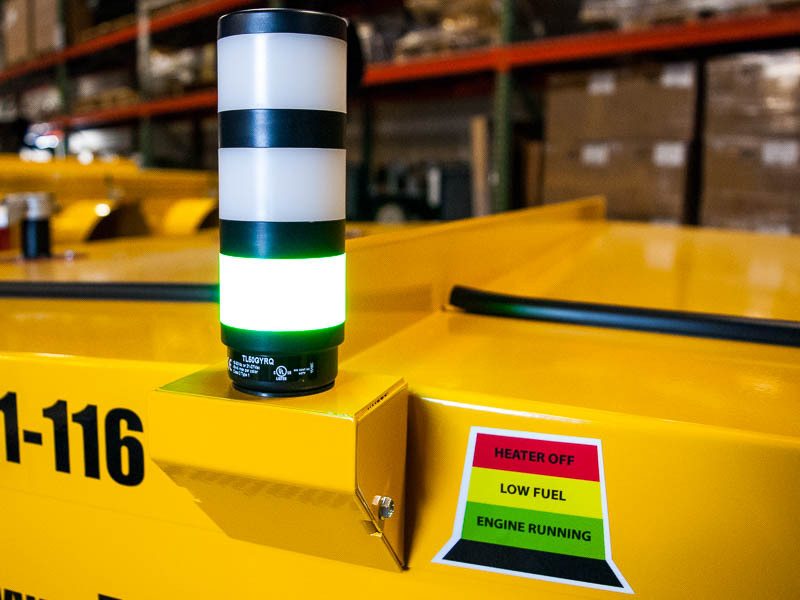 The ES500 industrial heater is engineered for reliable performance in extremely low temperatures and proven on Alaska's North Slope oil fields and in northern Canada. 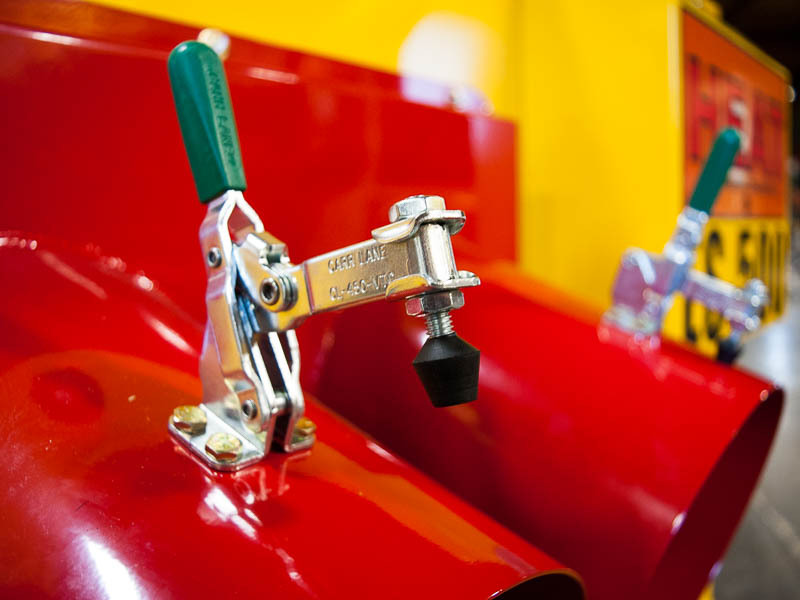 See for yourself how ESI heaters are the best heating solution for oilfield, construction, and agriculture worksites. Get one today!